Slim reading glasses suit most people and are also extremely practical because you can see over the frame. We love stylish design and great quality – and we also appreciate a good deal! At Have A look you can get exclusive Danish designed eyewear at superb prices. All our glasses cost €29 per pair including a case. Get three for only €72. Remember – we also have sunglasses with plus-strength lenses for the same price so you can mix and match your choices. These smart foldable reading glasses are ideal for when you're on the go. Whether you're in a plane, on the beach, or perhaps taking a weekend break, 'To Go' lets you prioritise comfort and practicality. Designed for both men and women, our sensibly priced folding reading glasses come in black, grey and orange. Lens strengths range from +1 to +3. All the metal parts are nickel free. 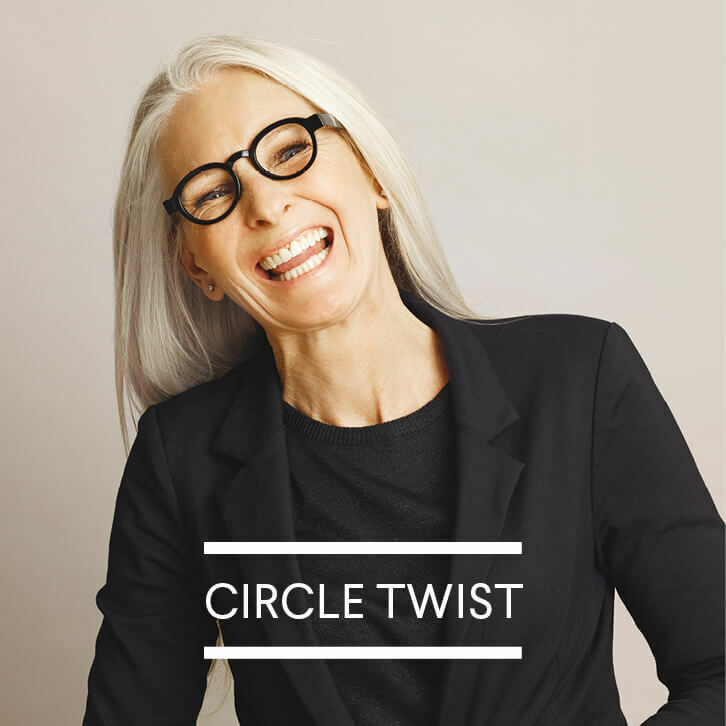 'Circle Twist' – if you’re into round glasses with just the right edge! 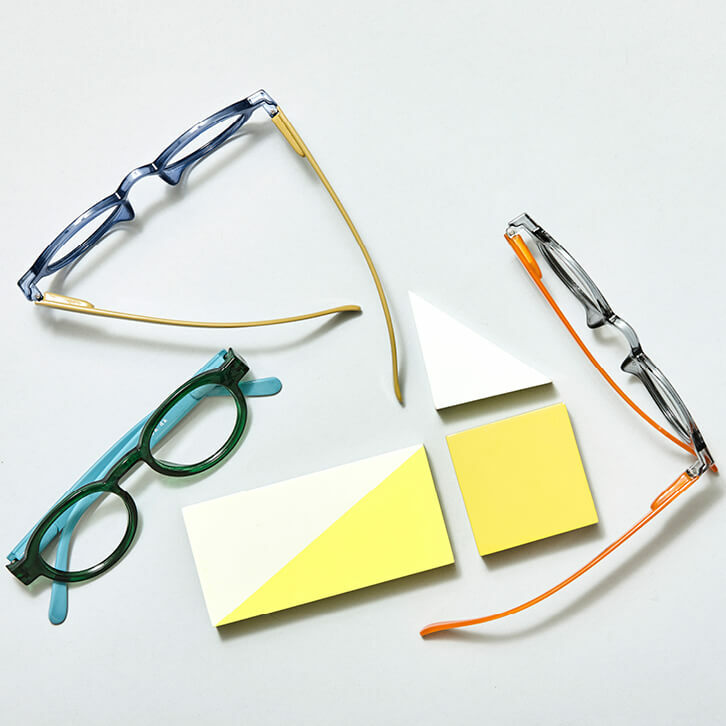 Sharp, modern eyewear doesn’t have to cost the earth. Have A Look has a full range of quality glasses and sunglasses at prices that will make you smile. You can choose between plus and minus strength, while sunglasses come both with and without lenses. All our glasses are perfect for both men and women. There is no confusing pricing, either. All reading glasses costs just €29. We understand it’s going to be tough making up your mind so we’re offering three pairs for €72 including a stylish felt case. This deal covers all our +1 to + 3 reading glasses, -1 to -1.5 glasses, +1 to +3 sunglasses and standard sunglasses. The two Danish designers behind Have A Look work with the latest trends and fashions to keep you looking good for sensible money. The range covers so many different types and styles that there’s bound to be something for you. Are you the classic type on the hunt for a smart, discrete pair of glasses with a grey, black or transparent frame? Or maybe you’re more into high fashion and striking colours? Whatever you’re after, you can be sure you’ve come to the right place. 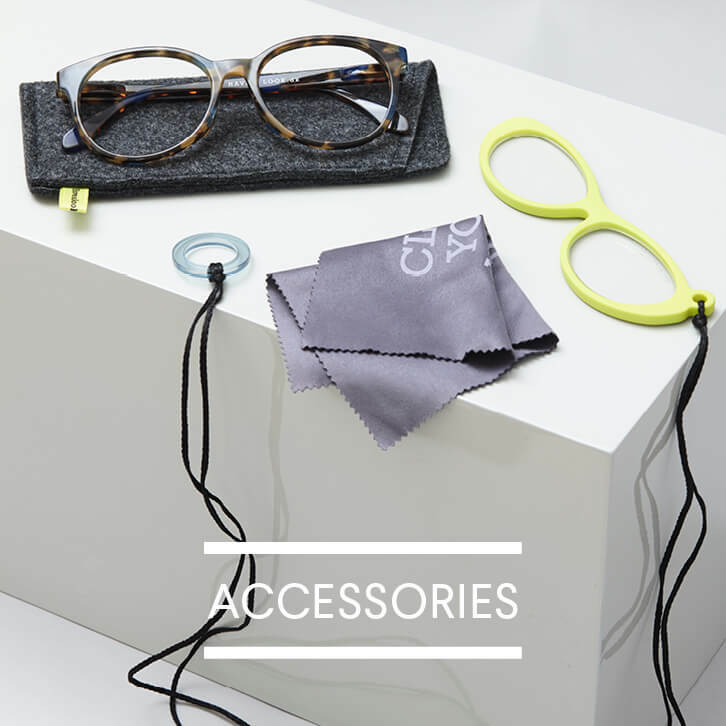 And once you’ve made your choice, finish up with a glasses cord and a soft polishing cloth from our full range of accessories.